This one of a kind log cabin is located in beautiful Brown County Indiana. Plus taxes and one-time cleaning fee. the number of guests, no credit card surcharges or booking fees! Sleeps up to 6 guests (max). Check-in 4P.M. / Check-out 11A.M. Hot Tub – 6 person spa located on the back deck. Pool Table – 8 foot slate table, located on the 2nd floor loft. 2 Private Fishing Ponds – Stocked with fish. Outdoor fire pit – Great for campfires. Borders Hoosier National Forest – Private hiking. TV – Satellite, VCR and DVD. Games – Board games, cards, poker chips, puzzles, etc. Fully Furnished – Towels, bed linens, kitchen cookware & utensils. 3 Bedrooms – 1 King, 1 Queen, 2 Twin Beds. 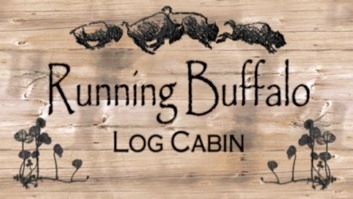 Running Buffalo Log Cabin is a privately owned and operated vacation log cabin. Nestled between a beautiful wildflower meadow (where the buffalo used to roam) and the Hoosier National Forest, complete with hiking trail, fishing pond, hot tub. 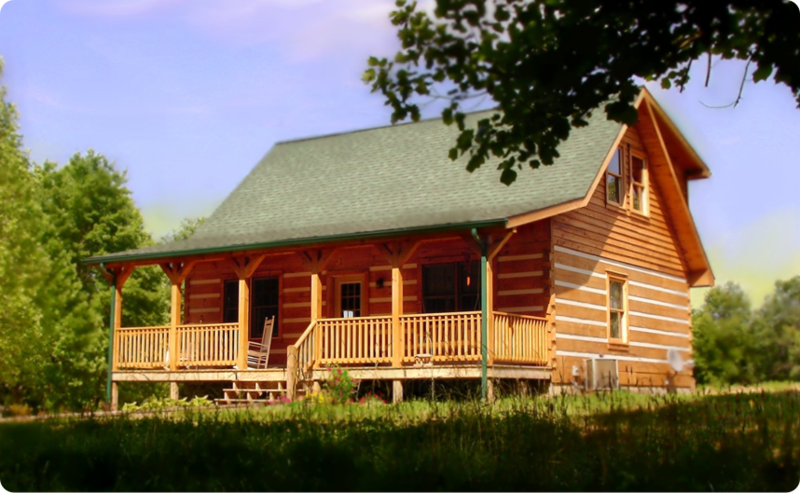 Located in the heart of southern Brown County, Indiana, this rustic yet luxurious Appalachian-style 2 story log cabin offers guests plenty of privacy and plenty to do… a wonderful place for a family vacation or romantic weekend getaway. Fully Furnished – Towels, bed linens, kitchen cookware and utensils.